This paper provides a synthetic review of research on school-based mental health services. Schools play an increasingly important role in providing mental health services to children, yet most school-based programs being provided have no evidence to support their impact. 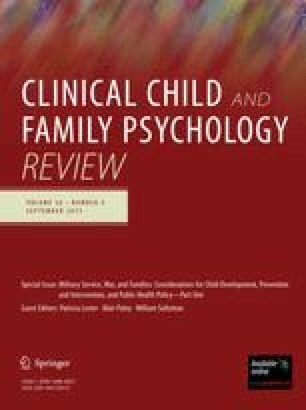 A computerized search of references published between 1985 and 1999 was used to identify studies of school-based mental health services for children. Study inclusion was determined by (i) use of randomized, quasi-experimental, or multiple baseline research design; (ii) inclusion of a control group; (iii) use of standardized outcome measures; and (iv) baseline and postintervention outcome assessment. The application of these criteria yielded a final sample of 47 studies on which this review is based. Results suggest that there are a strong group of school-based mental health programs that have evidence of impact across a range of emotional and behavioral problems. However, there were no programs that specifically targeted particular clinical syndromes. Important features of the implementation process that increase the probability of service sustainability and maintenance were identified. These include (i) consistent program implementation; (ii) inclusion of parents, teachers, or peers; (iii) use of multiple modalities; (iv) integration of program content into general classroom curriculum; and (v) developmentally appropriate program components. Implications of these findings and directions for future research are discussed.